Jay Michaelson is, in addition to being one of the editors of this magazine, a teacher of Kabbalah and integral Judaism. 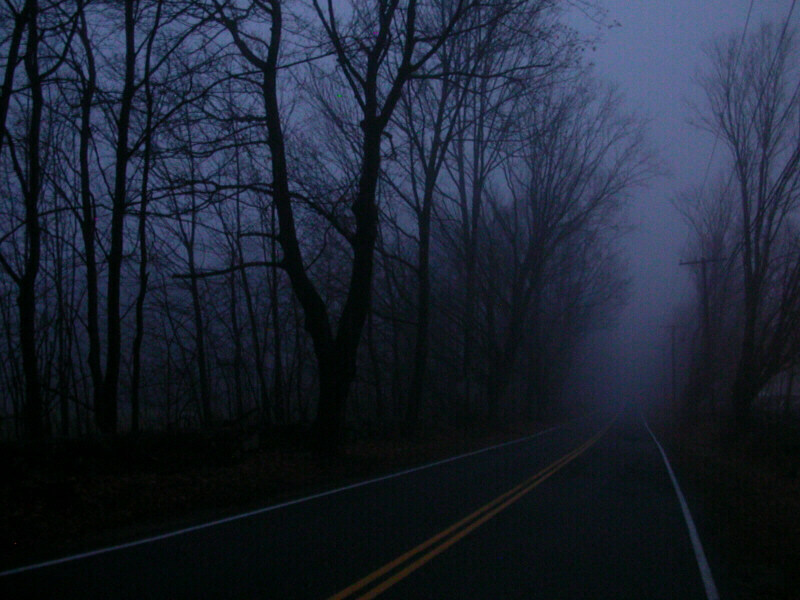 He says of this image: "I took this picture late one night on retreat, in a thick fog. The air at dusk evoked for me both a sense of the dark public times in which we are living, and in the prospect that within that darkness lies a great mystery. It reminded me of the Rilke lines: 'In these silent, sometimes hardly moving times, when something is coming near, I want to be with those who know secret things -- or else alone.'"